Last year was a whirlwind of "Fur Shui" activity...and am now catching up on the travels, people, spaces, places! 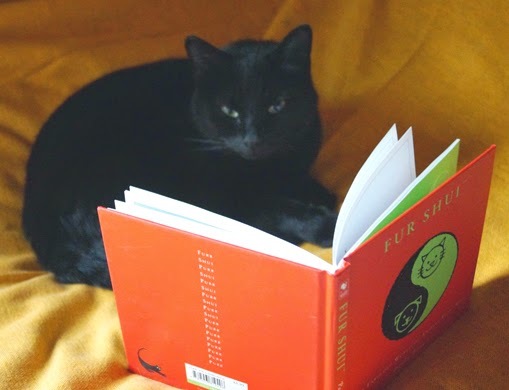 Kerrtu is a wise cat from Finland found my book quite interesting. She loved the career section...the color of black. She is helping her person launch her lovely "Villa Karma" in Finland. Piia, her person teaches feng shui, and invited Fur Shui to Finland to give a workshop in Loviisa and talk in Helsinki! More later!